French scholar; lived in Provence in the fourteenth century. His Hebrew surname was "Kenesi," incorrectly derived from "keneset" (= "school"), the Hebrew translation of "d'Escola," a name frequently found in southern France. 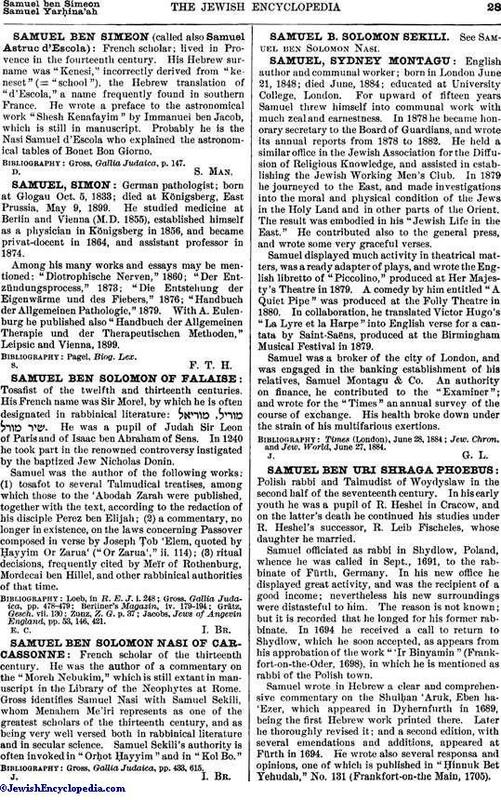 He wrote a preface to the astronomical work "Shesh Kenafayim" by Immanuei ben Jacob, which is still in manuscript. Probably he is the Nasi Samuel d'Escola who explained the astronomical tables of Bonet Don Giorno.